You've Never Seen a Truck Like This! 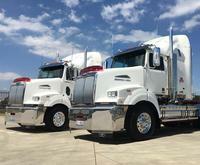 Guests Enjoy a First Hand Look at the New Limited Editions Western Star Roadstar. On a recent balmy Melbourne evening, guests had the chance to view up close the new Western Star Roadstar. 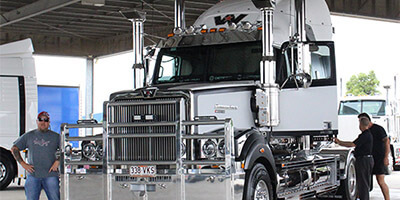 Based on the iconic Western Star 4900, the new Western Star Roadstar was built to celebrate the 50th anniversary of the Western Star badge. 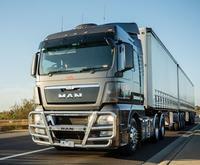 Packed with a range of unique features, the Roadstar is a truck like you’ve never seen before. Outside, a 50th Anniversary bumper, rear light bar with LED tail lamps, stainless steel wheel guards and tread plate decking gives the truck its distinctive and unique look. 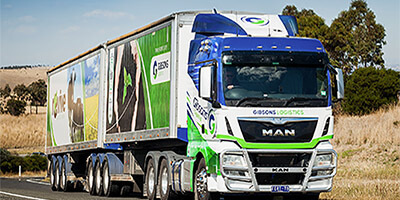 Gibson Groundpsread is no stranger to the MAN brand, already operating TGM 4x4s for its ground spreading business and TGS 26.480s for carting Revive compost. A family owned company, Gibson’s has been servicing the local farmers for 60 years. It was founded by Bill Gibson in 1953 when he started carting firewood, split posts and bagged fertiliser to the local farmers of Yarram. 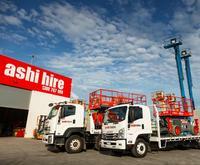 The company now has branches throughout Gippsland in Traralgon, Rosedale, Yarram, Dutson and Bayles.